Grab your Smartphone or Tablet, Time for RealFlight Mobile « Big Squid RC – RC Car and Truck News, Reviews, Videos, and More! 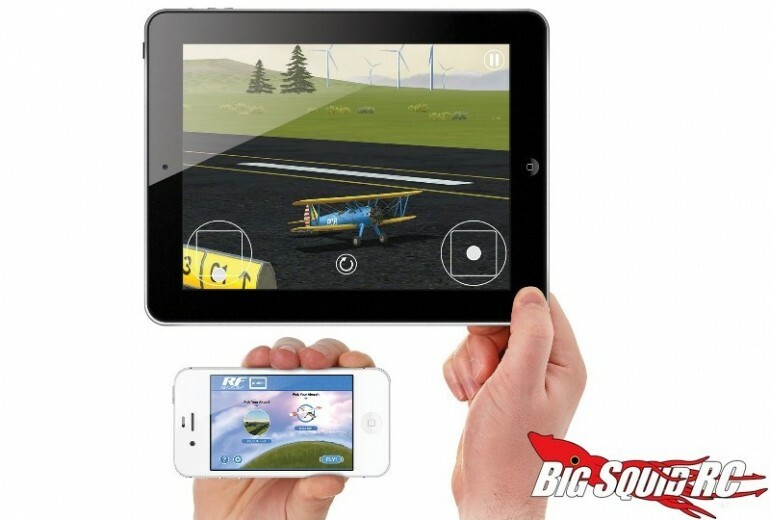 It seems like nearly everyone has a Smartphone or Tablet, now that is all you need to practice flying an rc airplane. How? RealFlight Mobile has just dropped and is available for both Apple iOS and Google Android. RealFight Mobile comes with one flying field and two different airplanes to get you started, but 6 other planes and 3 more flying areas are also available for download. RF Mobile simply makes it very easy to learn how to fly. Get more details at This Link over on the RealFlight website, or simply Click Here to get it for your Apple device, or Click Right Here to get it for your Android. Read our last RealFlight review Right Here on BigSquidRC.